A neckline so pretty it needs no description. 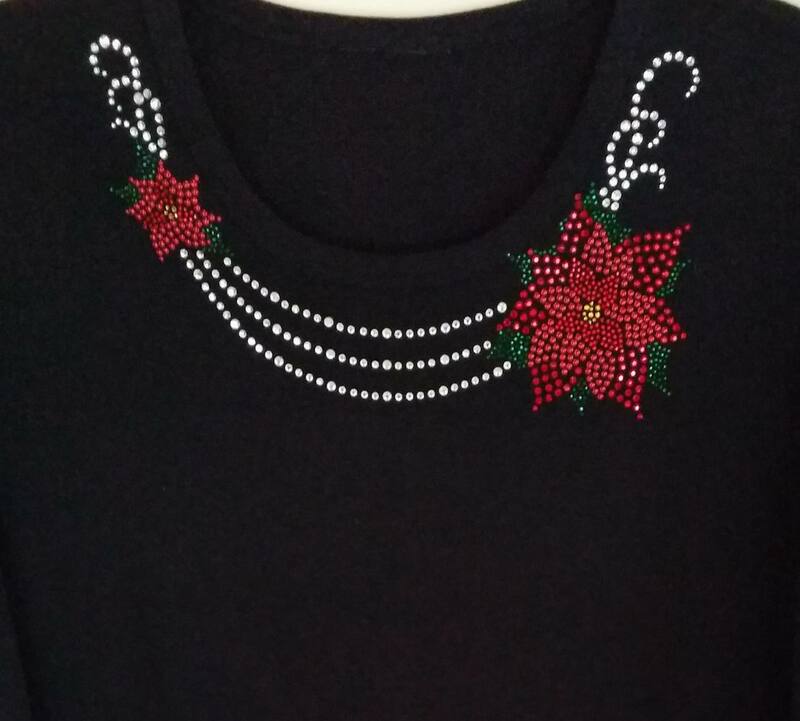 Crystal clear, red and green rhinestones makes up this lovely motif that frames your face for the holidays. On a scoop neckline black top 60% cotton and 40% poly. A must have for one of your parties.